Adorable cowboy child and horse are ready to saddle Up for Christmas on this 1950's style sign ornament. So cute for the cowboy Christmas tree or wreath. The back is painted red with plenty of room to name-drop. Comes on red ribbon hang loop. 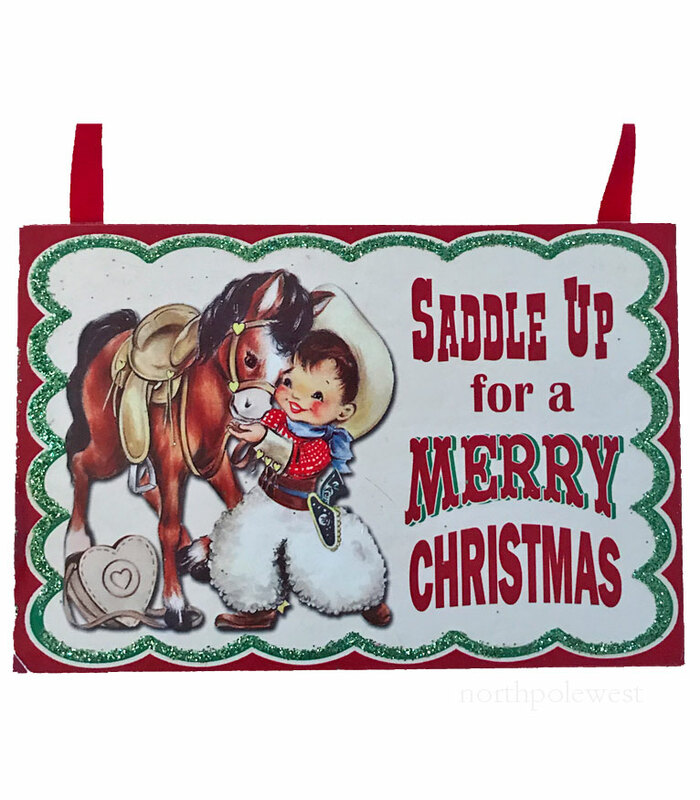 Wood 5" x 4"
Adorable cowboy child and horse are ready to saddle Up for Christmas on this 1950's style sign ornament. So cute for the cowboy Christmas tree or wreath. The back is painted red with plenty of room to name-drop. These are no longer being made, so when these sell, there will be no re-stock. Comes on red ribbon hang loop.